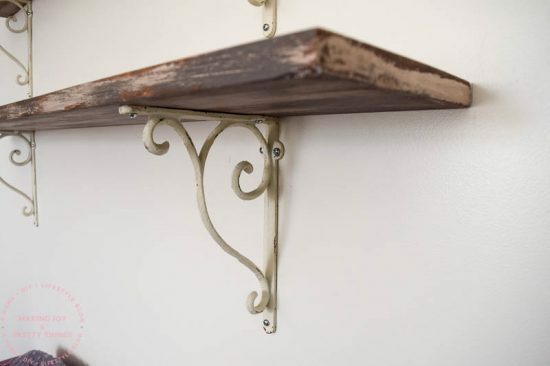 5 Easy and Affordable Farmhouse DIY Projects - Lovely Etc. 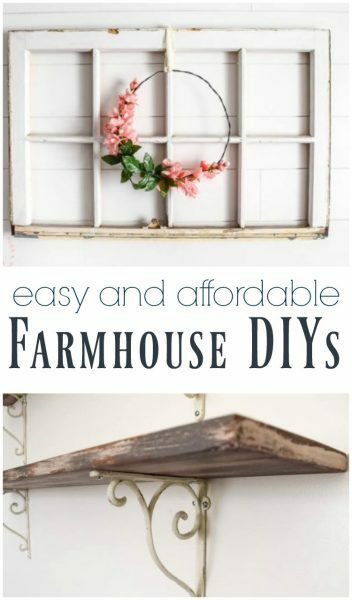 I’ve seen lots of farmhouse DIY projects recently. (The beautiful homes on Fixer Upper have farmhouse style spreading like wildfire!) And of all of the projects I’ve seen, these 5 projects are definitely among the best. Even better? They can all be done on a tiny budget. 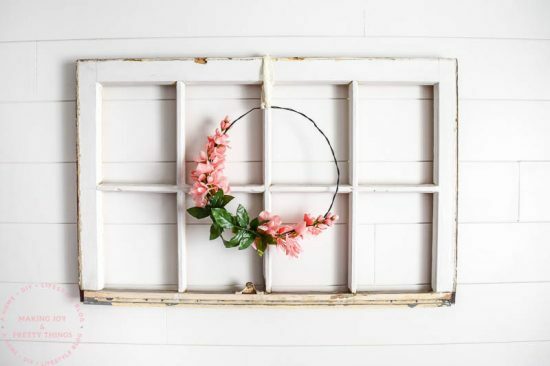 Sarah from Making Joy and Pretty Things is here sharing some of her beautiful DIYs and you are definitely going to want to see them and then head to her blog to check out her other projects! 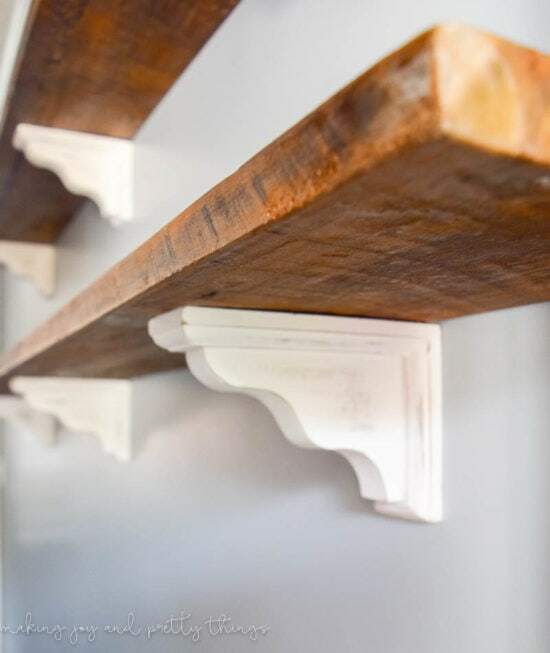 Add farmhouse style charm to your house with 5 easy and affordable projects you can do yourself! I was a boy mom for 4 years but just welcomed my first little girl in April! 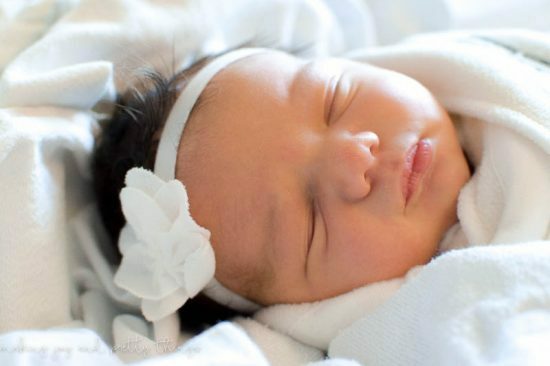 She is the best baby and absolute best sleeper. I think she knows she has to be chill with her crazy brothers around! When I’m not stepping on Legos or folding laundry, you can find me with a can of stain or paint and some wood! I love transforming plain ole’ boards from the home improvement store into farmhouse style decor full of charm. I’m constantly inspired by my girl Joanna Gaines and Pinterest (aren’t they both so addicting?!) and some day want to make this little blog of mine my full time “job”! 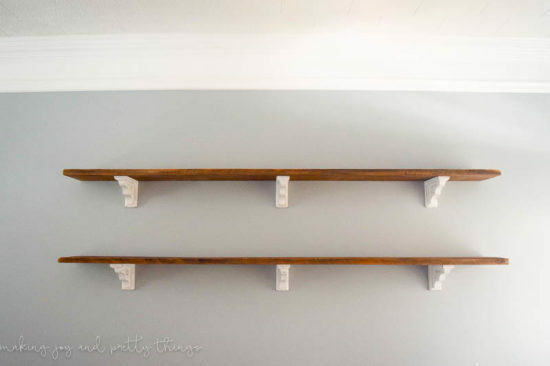 One of my absolute favorite projects has been building farmhouse shelves for our dining room. In this first project, we used an old barn beam found at a local antique store. The pictures don’t do it justice; this wood is GORGEOUS! 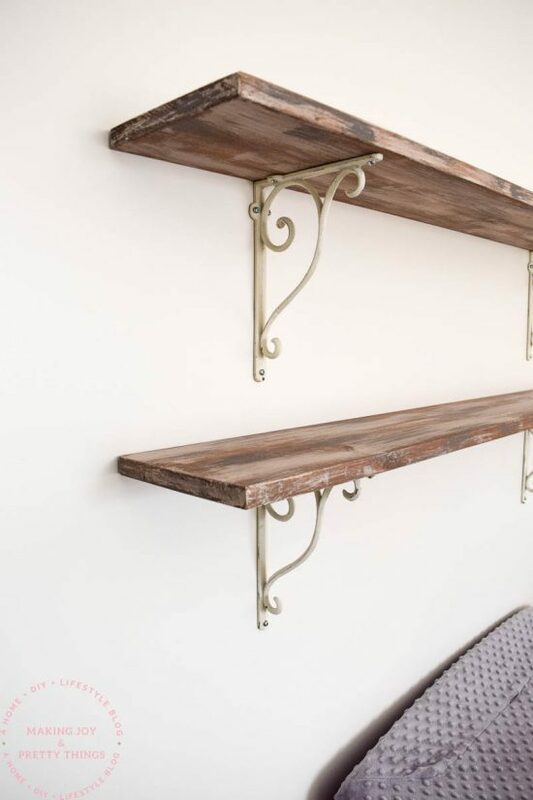 But, realizing everyone may not have access to old reclaimed wood, we made a second set of farmhouse style shelves using new wood from the home improvement store. 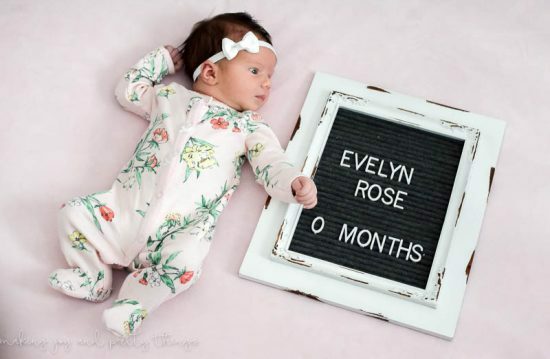 I love keeping track of how my sweet babies grow during their first year (and beyond, too!). I took monthly photos of each of the boys and we loved looking back at how much they changed in just 12 months (here’s how I displayed the photos on their first birthdays!). 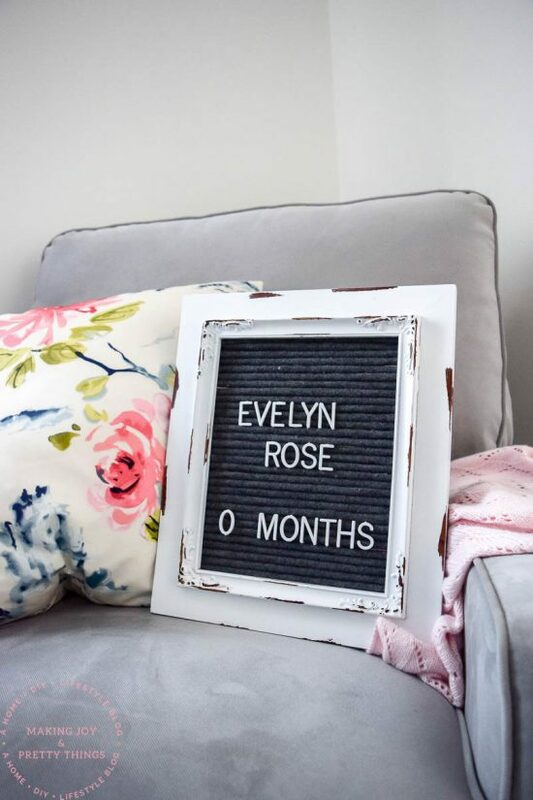 For our little girl, I decided to do monthly photos with a letterboard. Of course, I wasn’t about to spend an arm and a leg on a new letterboard so we DIYed our own. 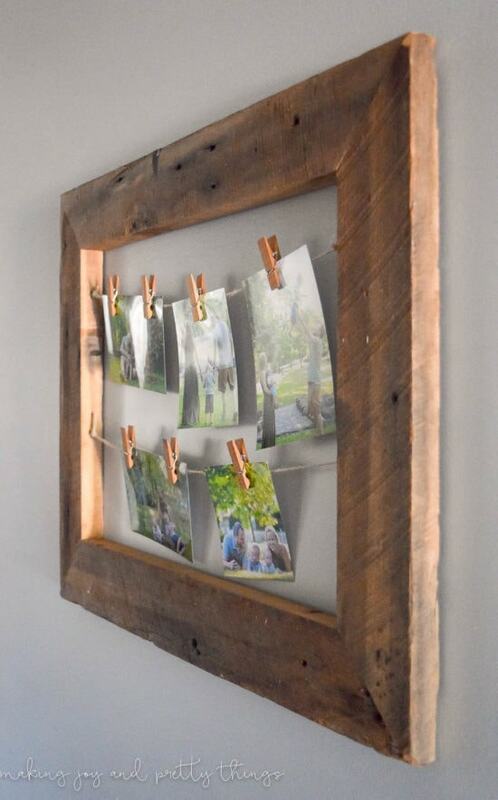 The rustic picture frame really gives it that farmhouse charm. We had some extra reclaimed wood left over from our DIY farmhouse shelves shared above, so I decided to make it into a rustic frame! This is such an easy project and I love how I can display so many of our family photos at once. Plus, it’s easy to change out the photos. 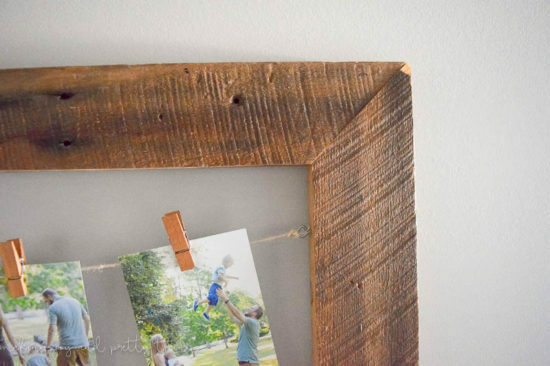 The frame would look perfect in a farmhouse style gallery wall or can make it on its own, too! 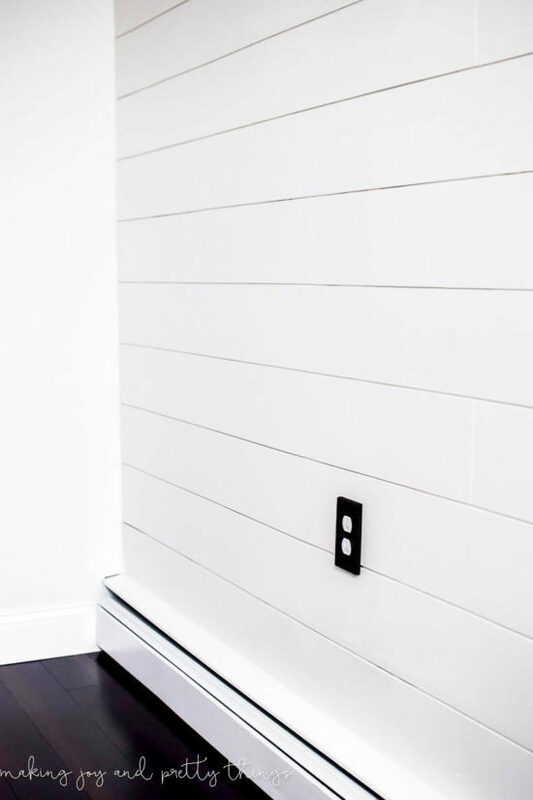 Who doesn’t love a shiplap wall? I had been dying to install shiplap somewhere in our house but I couldn’t justify spending the $13 for an 8 foot board of the “real stuff”. I mean, that’s crazy expensive! 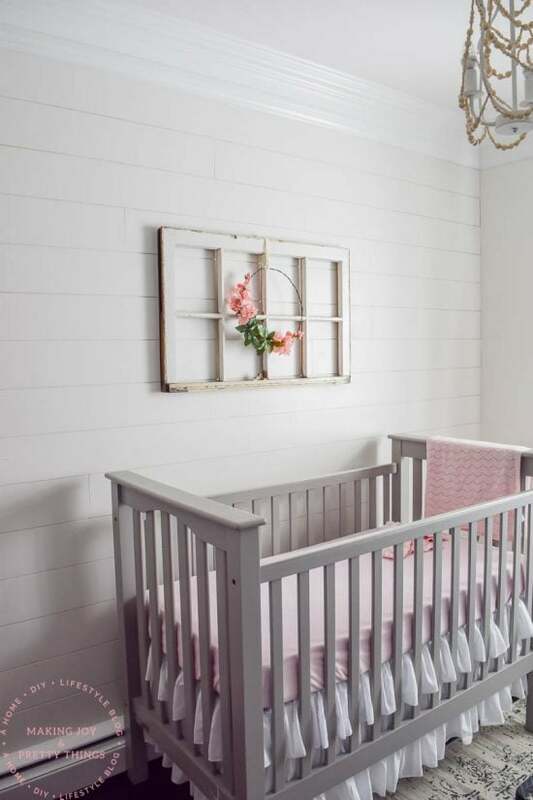 So, for our farmhouse girl’s nursery, we planked an entire wall for $30 in faux shiplap! It looks just like the real thing for a fraction of the price. This is definitely my most popular post by far. Tons of people have tried it out and love it! It was so hard to choose just 5 projects to share today. I have a ton more over on my blog if you want to check them out, including our farmhouse girl’s nursery we just finished for little Evie. If you’re looking for more farmhouse inspiration, check out my Pinterest page. I’m constantly on the hunt for the best farmhouse style projects to share! 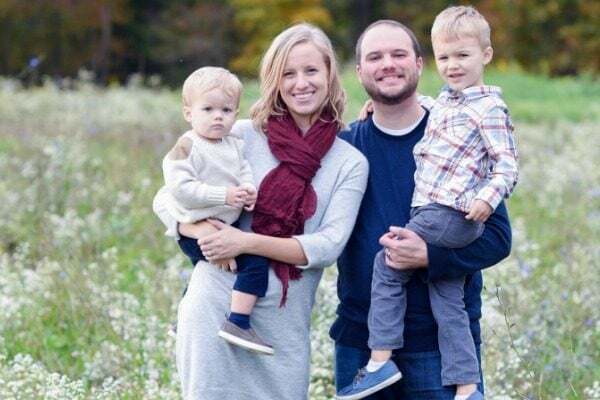 While my blog is mostly about our DIYs, I share more family life and behind the scenes shots on my Instagram! 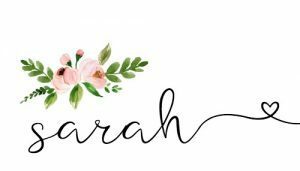 Thank you so much to Carrie for allowing me to share some projects here!